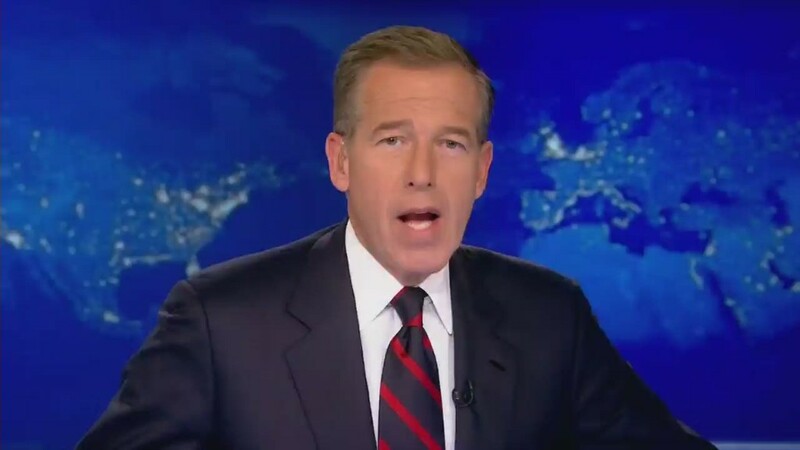 It was a dramatic account from the early stage of the Iraq War, one that placed NBC News anchor Brian Williams aboard a U.S. military helicopter that had drawn enemy fire. The story was told repeatedly by Williams and NBC. Williams, the anchor of the "NBC Nightly News," apologized on Wednesday for claiming -- as recently as last Friday -- that he'd been on a helicopter that was "forced down after being hit by an RPG." The incident happened on March 24, 2003. A Chinook helicopter was forced down by enemy fire. But Williams was not aboard. Stars and Stripes reported on Wednesday that "Williams arrived in the area about an hour later on another helicopter," one that "took no fire and landed later beside the damaged helicopter due to an impending sandstorm from the Iraqi desert." Williams is blaming a foggy memory. "I made a mistake in recalling the events of 12 years ago," he said on Wednesday's "Nightly News," specifically addressing his false comments from last Friday. But he did not address any of the past occasions when he apparently misspoke about the RPG attack. In a 2013 appearance on David Letterman's talk show, for instance, Williams said "two of the four helicopters were hit, by ground fire, including the one I was in, RPG and AK-47." The damaging revelations may harm Williams' credibility. Media critics and Internet commenters immediately expressed doubt that Williams could have innocently misremembered what had happened on the reporting trip. NBC declined to comment on Wednesday night. Williams was embedded with U.S. military forces on risky missions at the start of the Iraq War in 2003. A USA Today report at the time said he was "stranded in the Iraqi desert for three days after a Chinook helicopter ahead of his was attacked by a man who fired a rocket-propelled grenade." USA Today said "the grenade just missed, but it forced the group to make an emergency landing." A few days later, Williams said this on NBC: "Suddenly, without knowing why, we learned we've been ordered to land in the desert. On the ground, we learn the Chinook ahead of us was almost blown out of the sky." The story evolved over time. And last week Williams briefly retold it on the "NBC Nightly News," which he has anchored since 2004. It was part of an on-air tribute to a soldier who provided security for the downed crew. "The helicopter we were traveling in was forced down after being hit by an RPG," Williams said on the broadcast. "Our traveling NBC News team was rescued and kept alive by an Armored Mechanized Platoon from the U.S. Army 3rd Infantry." After the tribute aired and NBC shared it on Facebook, people started to raise questions about its veracity. Lance Reynolds, who was quoted in news accounts about the March 24, 2003 incident, wrote on Facebook, "Sorry dude, I don't remember you being on my aircraft." Reynolds continued, "I do remember you walking up about an hour after we had landed to ask me what had happened. Then I remember you guys taking back off in a different flight of Chinooks from another unit and heading to Kuwait to report your 'war story' to the Nightly News. The whole time we were still stuck in Iraq trying to repair the aircraft and pulling our own Security." Another commenter, Joseph Miller, wrote, "Thank you Lance! I've been calling him out on this for a long time with no response. He was actually on my aircraft and we came in behind you about 30-45 minutes later." Some of the comments insulted Williams and called him a liar. He responded in a Facebook post on Wednesday afternoon. "You are absolutely right and I was wrong," he wrote to Reynolds, Miller and several others. "In fact, I spent much of the weekend thinking I'd gone crazy," he wrote. "I feel terrible about making this mistake." William said he has "no desire to fictionalize my experience (we all saw it happened the first time) and no need to dramatize events as they actually happened, I think the constant viewing of the video showing us inspecting the impact area -- and the fog of memory over 12 years -- made me conflate the two, and I apologize." 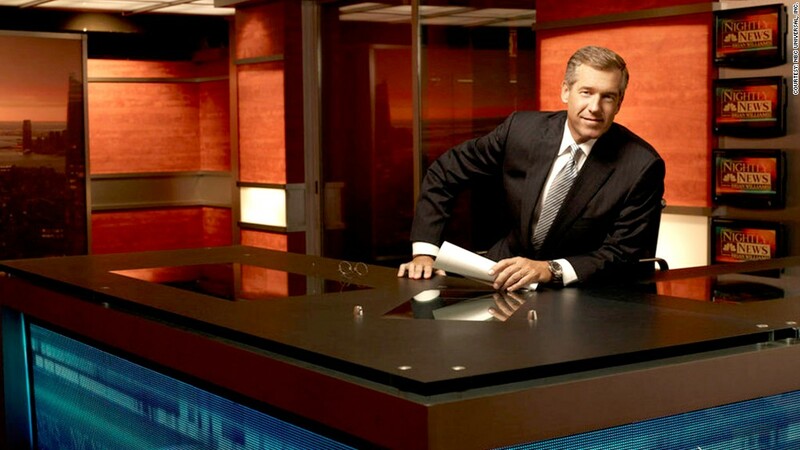 The anchor did not go into that much detail on Wednesday's "Nightly News." He said "I want to apologize -- I said I was traveling in an aircraft that was hit by RPG fire. I was instead in a following aircraft. We all landed after the ground fire incident and spent 2 harrowing nights in a sandstorm in the Iraq desert." "This was a bungled attempt by me to thank one special veteran, and by extension, our brave military men and women, veterans everywhere, those who have served while I did not," he added. "I hope they know they have my greatest respect, and also now my apology."